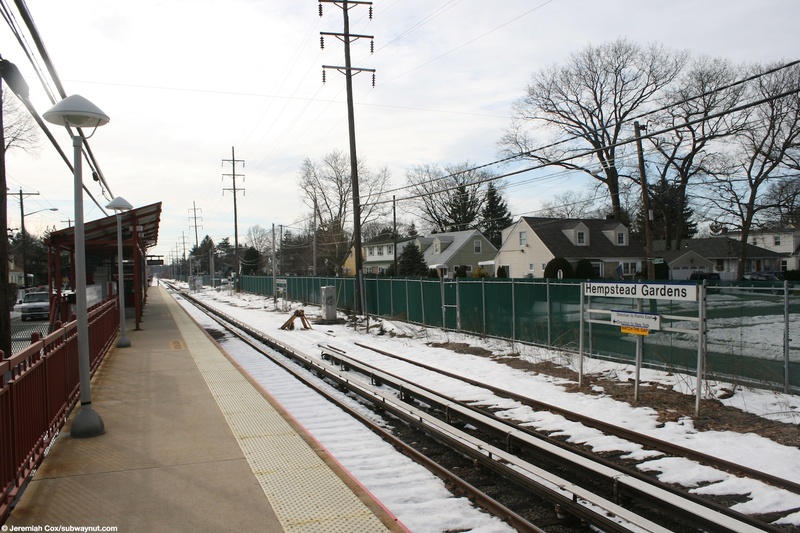 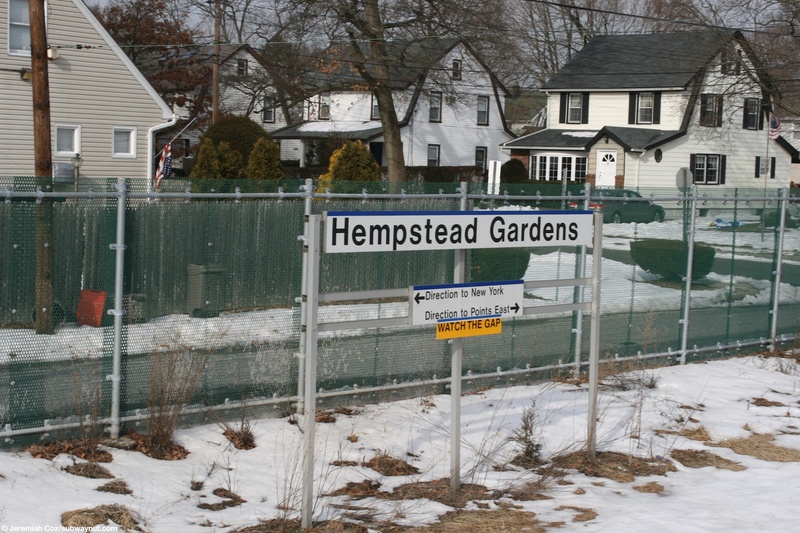 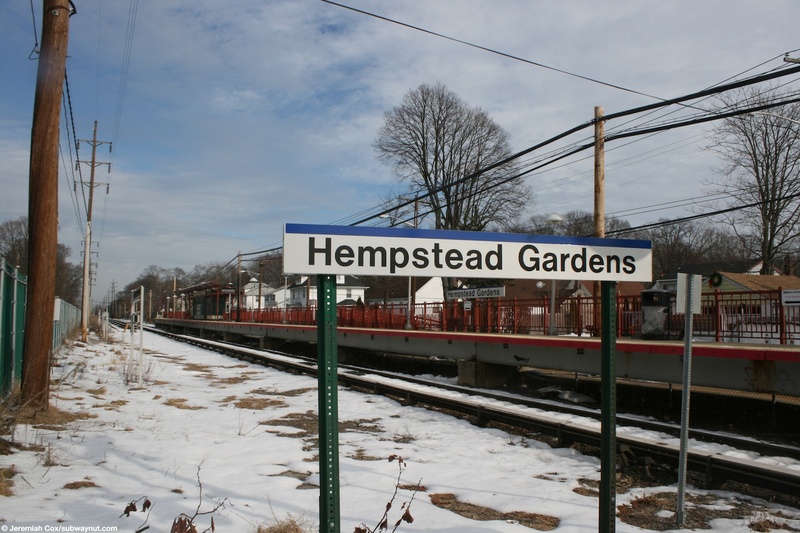 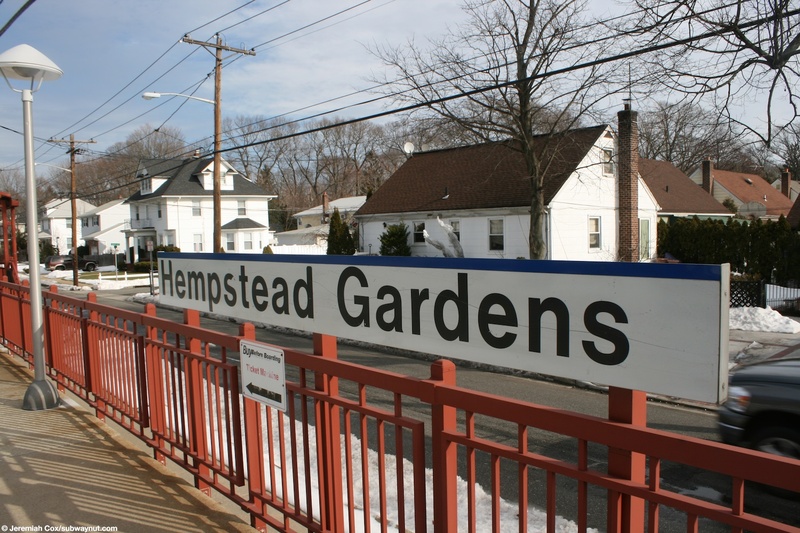 Hempstead Gardens Station is located in the middle of a residential area of low-rising houses when the train line is running on the surface directly between two parallel streets, Mulberry Lane and Hempstead Gardens Drive. 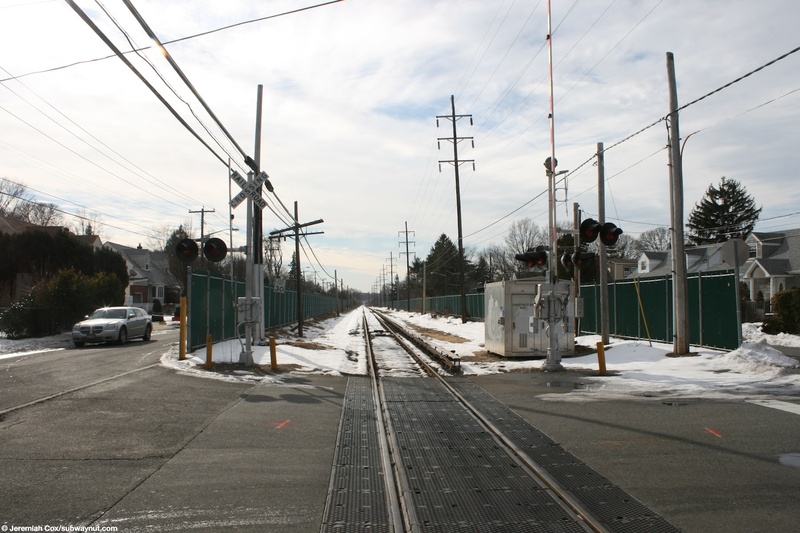 Oddly almost opaque green fences separate and prevent passersby from crossing the tracks except at designated road grade crossings. 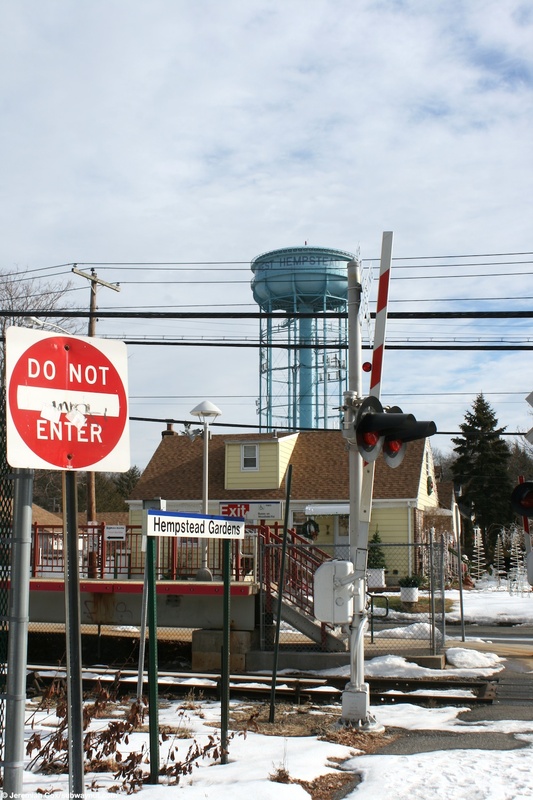 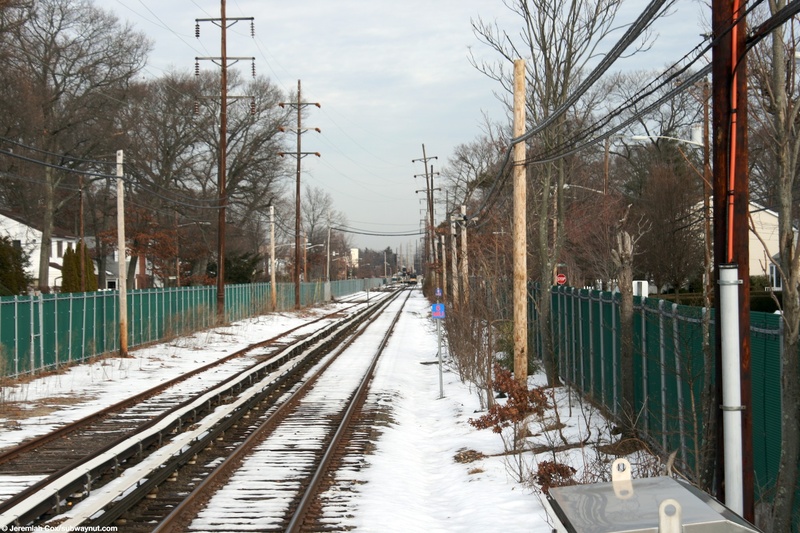 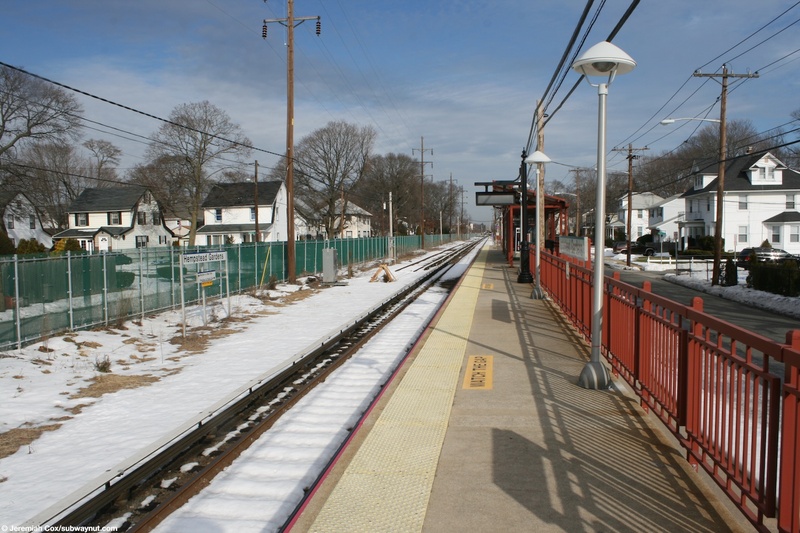 Right at the southern of the station's platform is the Grade crossing of Chestnut Street and is the last place to cross the tracks before the line ends beyond the West Hempstead Station. 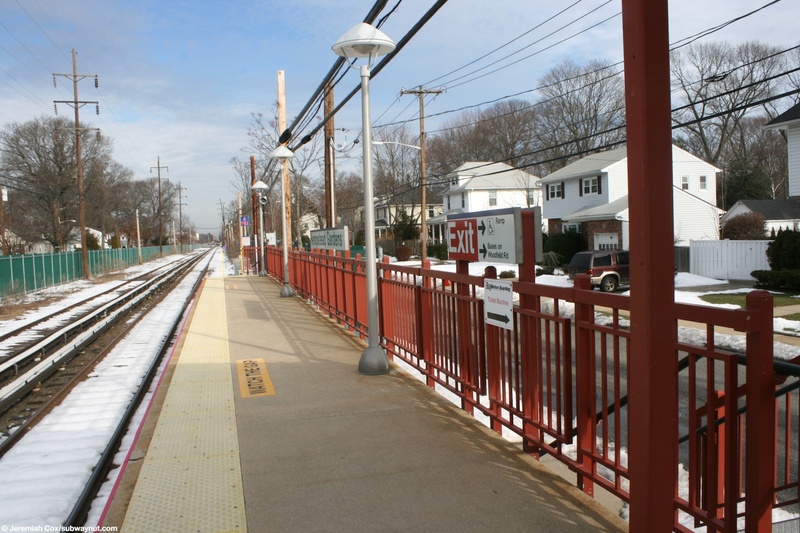 The platform is to the west of the tracks. 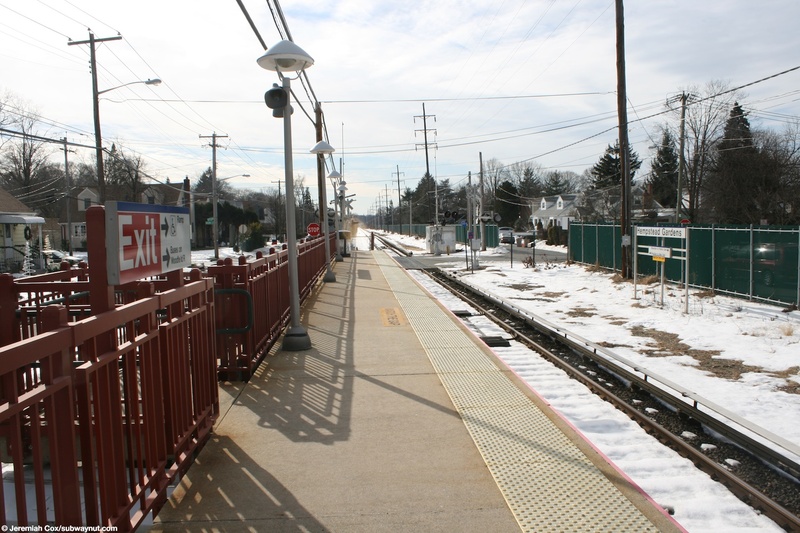 Midway through the station there is a bumper block that starts a track running towards West Hempstead beyond the platform although there is room in the ROW for a second track here. 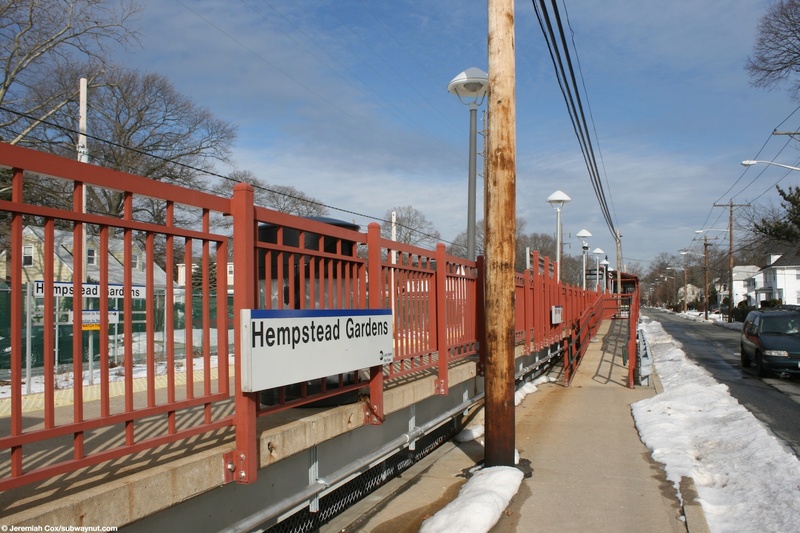 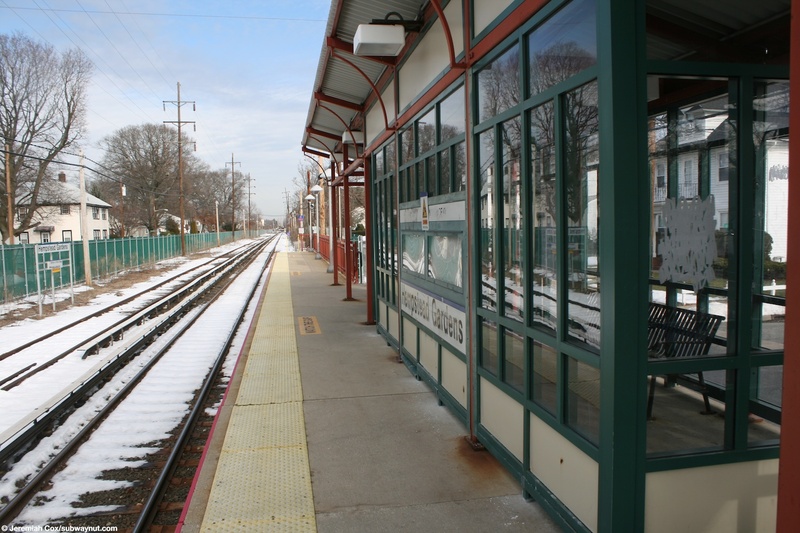 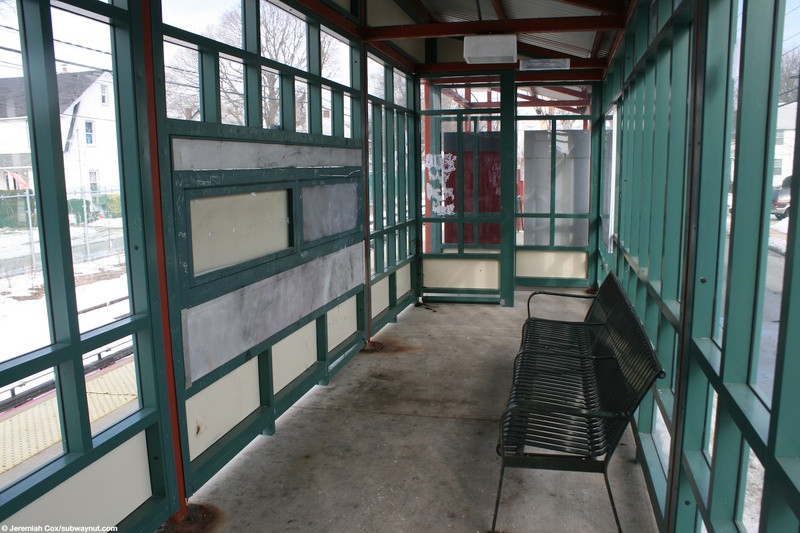 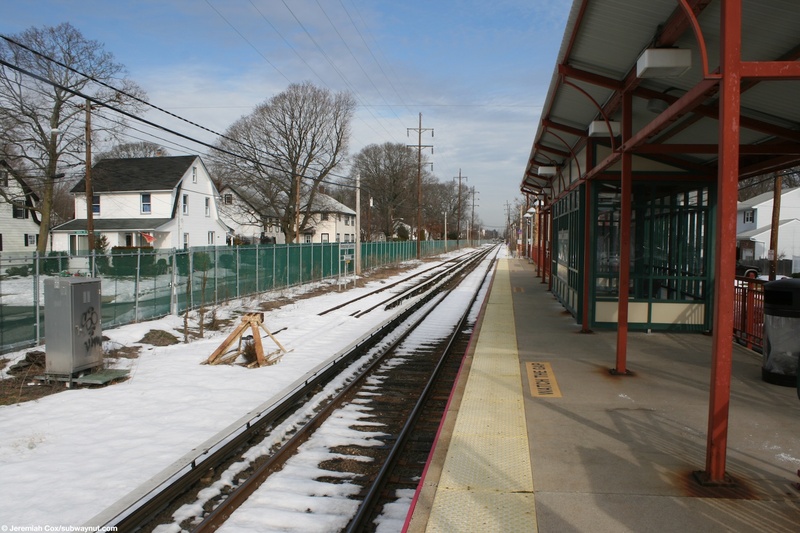 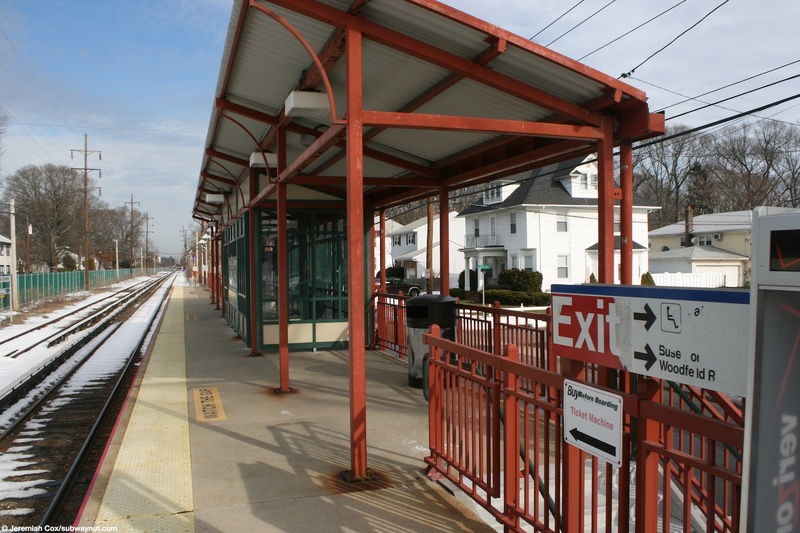 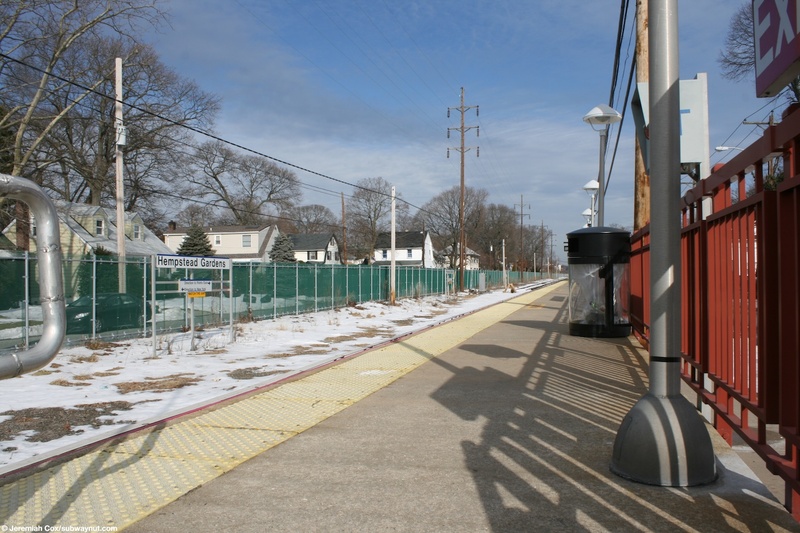 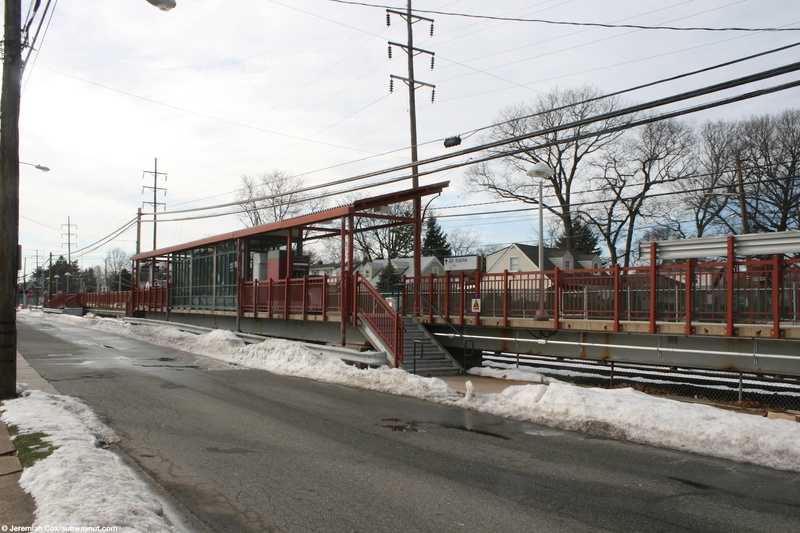 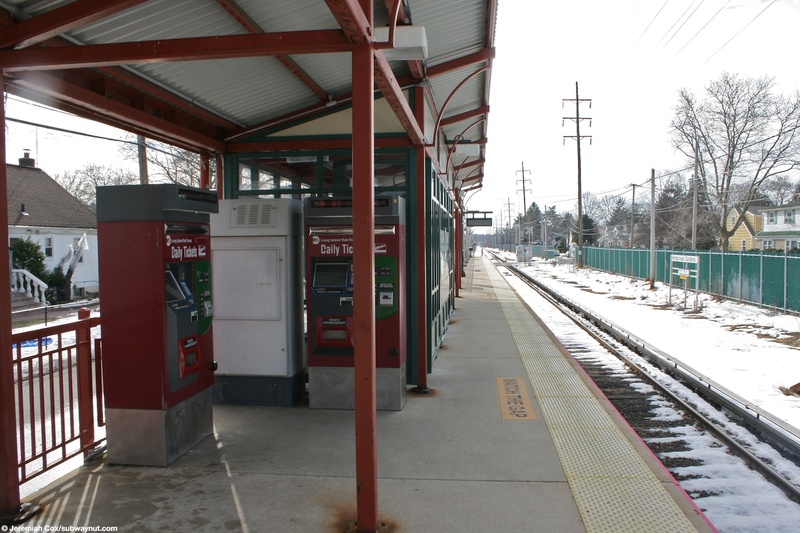 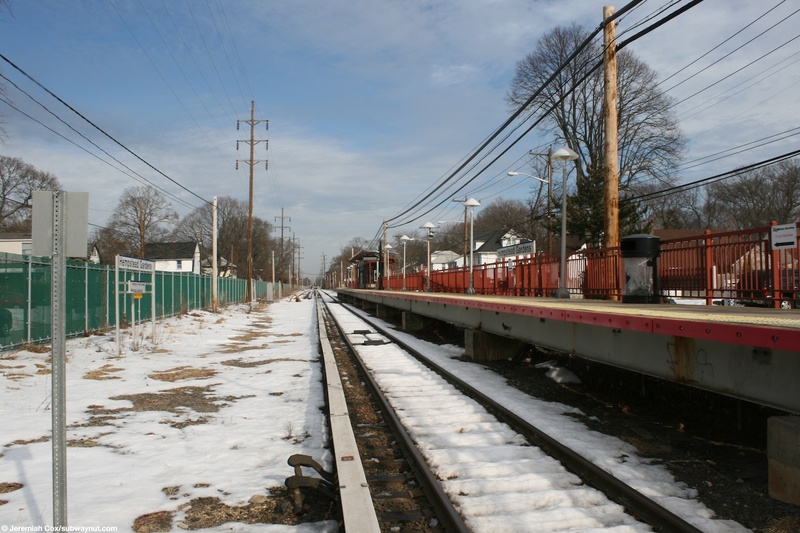 The single platform with red railings has a staircase at its southern end from the grade crossing, than a sidewalk along Hempstead Gardens Drive that ends at the ramp up to the platform before beginning again at a staircase up and ending where it is taken up by the station's main canopy structure which has a small enclosed windscreen area in its middle along with the stations TVMs. 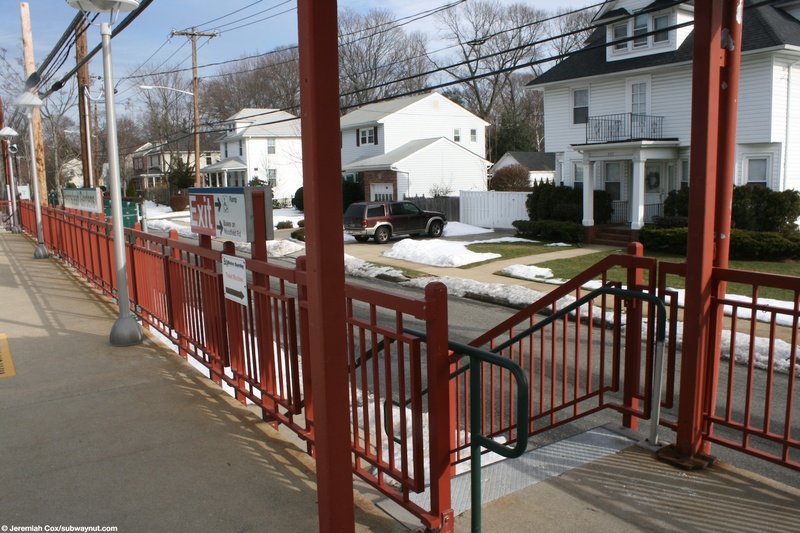 There is then a final staircase up to the sidewalk that allows people to cross the street until it ends where the station ends and the fencing begins right along the street to block pedestrians from crossing the tracks.